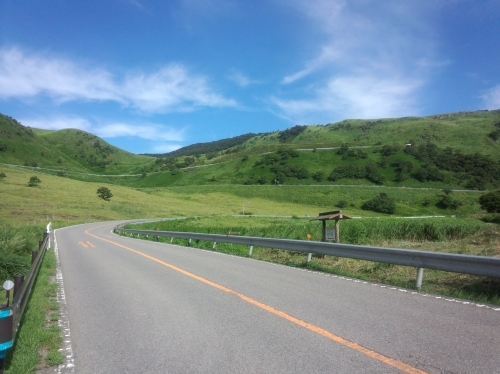 Superb view Yufudake bicycle downhill course (Yufuin direction) *We can pick you up where you would like. 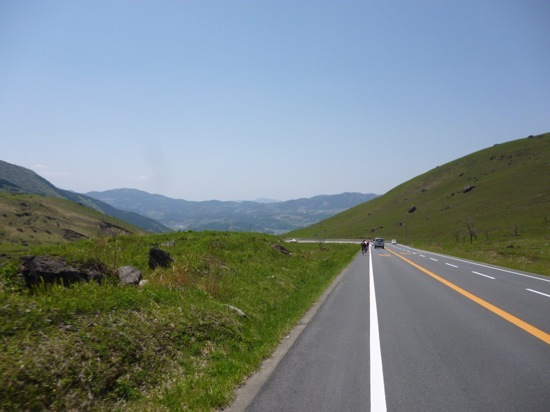 This course allows you to watch Yufudake, which is 1583 meters and also known as Bungo Fuji and the town of Yufuin while cycling down the highway in the mountains from Yufudake trailhead, approximately 800 meters, to the streets of Yufuin, with an enormous view that makes you wonder if you are still in Japan. 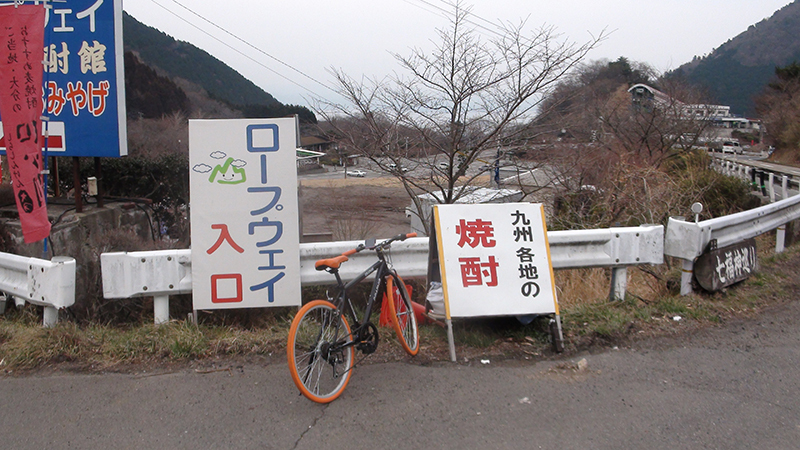 As you are not accompanied by a tourist guide, please visit tourist spots once you reach the town of Yufuin. 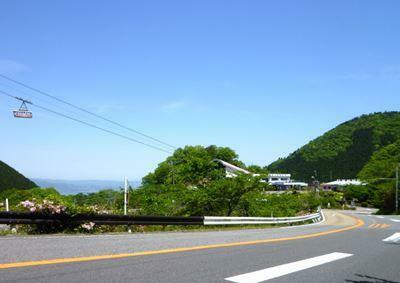 From this observatory, you can get a panoramic view of Yufuin Bonchi and the streets of Yufuin. Kobo Wahaha This is a relatively unknown spot where people who won the lottery come to buy beckoning cat figurines. Please see the store’s website for more information. 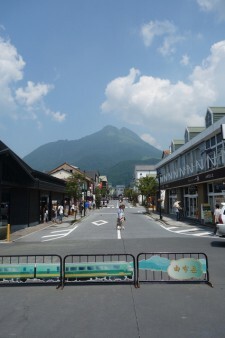 Kinrinko Lake/Yunotsubo Kaido This is a famous tourist spot lined with various shops on both sides of the street. 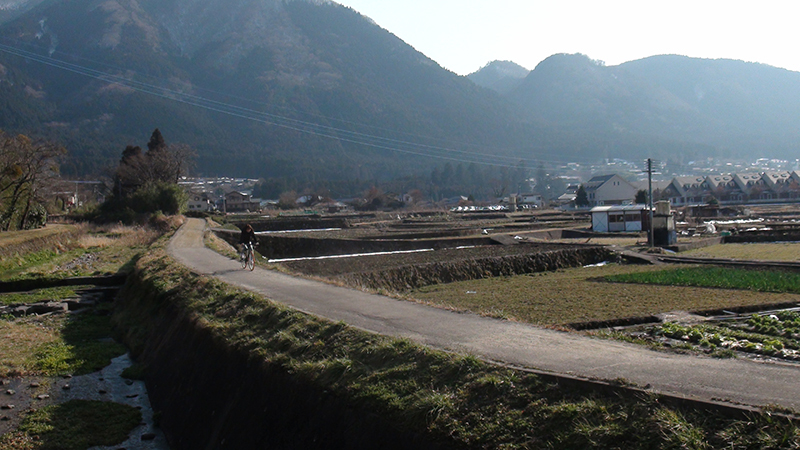 One of the attractions of Yufuin is that if you step out of the busy street, you find yourself in the countryside with a view of fields. 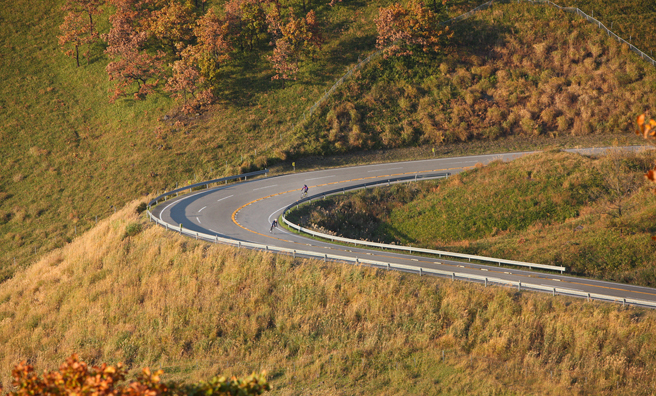 Parking lots in this area are full, and the streets are narrow, so we recommend a bicycle. 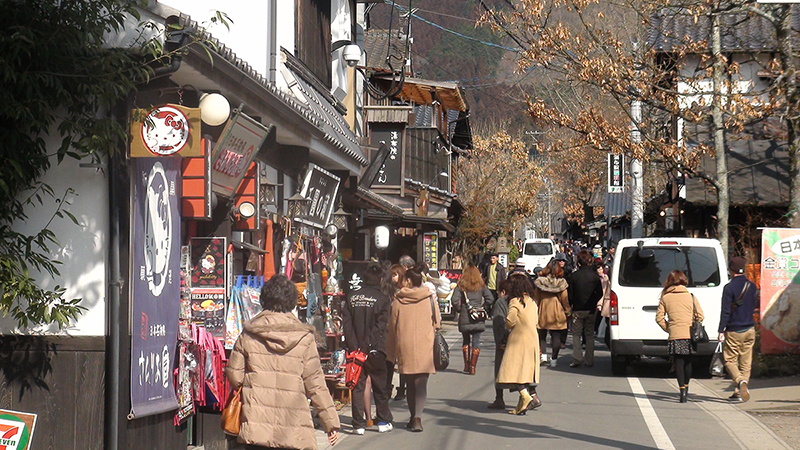 There are many shops in front of Yufuin Station. *We can pick you up in a place of your choice. 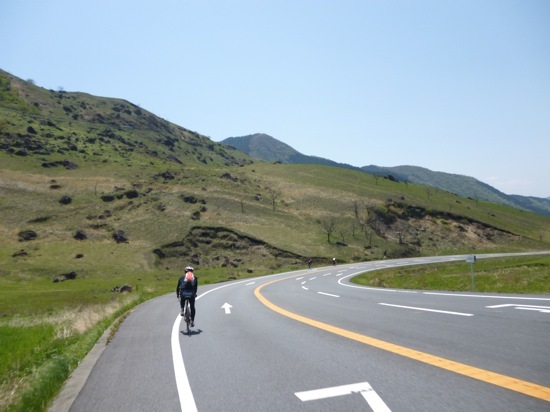 This course allows you to enjoy the view of Yufudake, 1583 meters and also known as Bungo Fuji, while you cycle down from Yuidake trailhead, approximately 800 meters, to the town of Beppu. 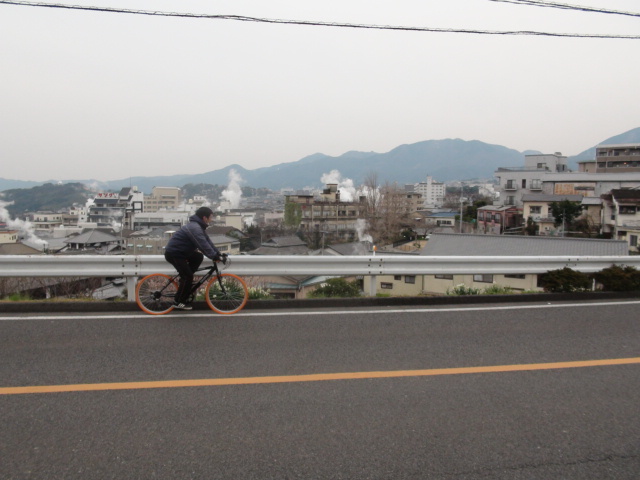 As you are not accompanied by a tour guide, please stop by tourists spots on the way down and enjoy your bicycle trip in hot spring town Beppu. 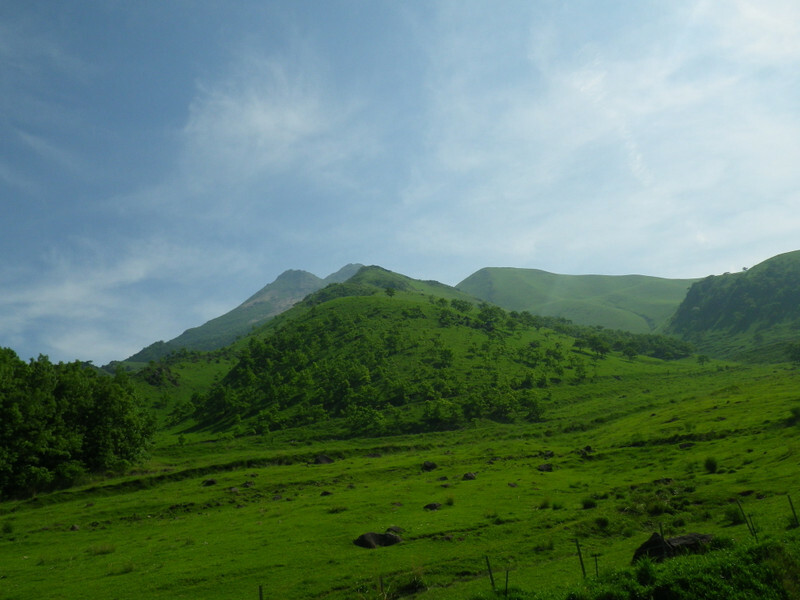 This park is located in a forest where adults and children alike can enjoy nature. From a ropeway gondola, you can have a panoramic view of Beppu Gulf and the city. 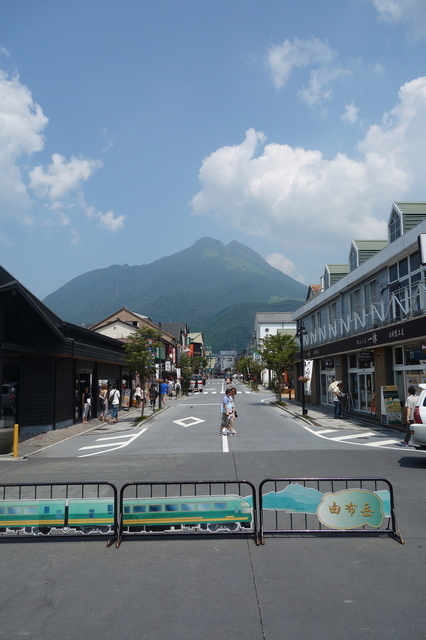 This is the tourism center where you can enjoy a tour of the hot spring Hell of Beppu and steamed food. 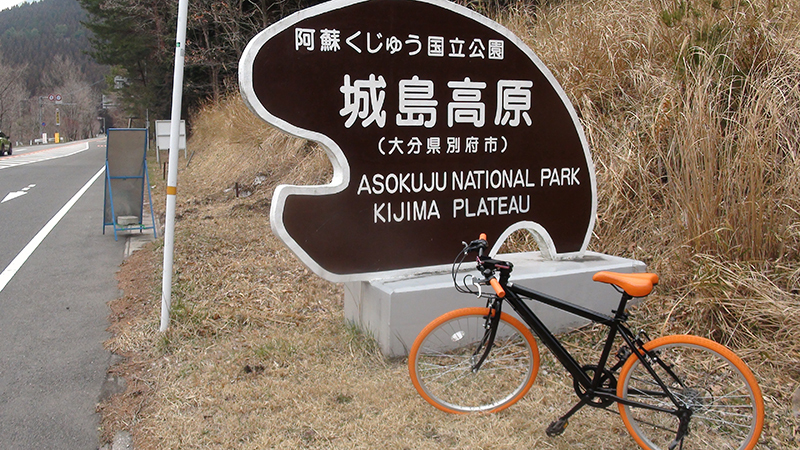 Reservation — pick-up — payment — we take you and your bike to Yufudake trailhead –you start from there. Please return your bicyle at 5:00 pm. As we will pick up your bicycle, please tell us 1 hour before you want to return it. Pick-up service is not available in other areas, so please come to our shop for a reservation. 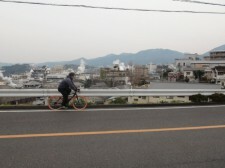 Superior view Yufudake bicycle short downhill course(Beppu direction)*We can pick you up in a place of your choice. This course allows you to cycle down from Yufudake trailhead, approximately 800 meters, to Beppu Inter, 11 km. As we can pick you up and drop you off, we can meet you in your home, your hotel, or any place of your choice and drop you off at the same place afterwards, so you can have a great time without worrying about logistics. 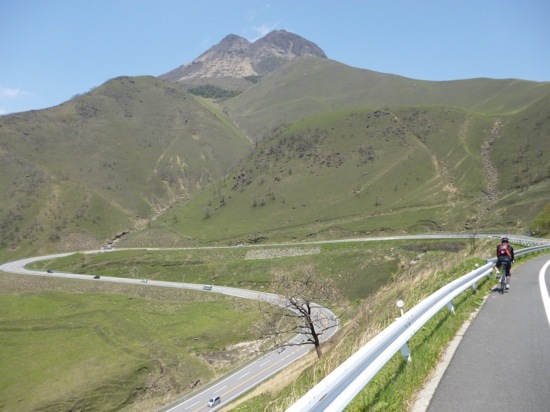 Superior view Yufudake bicycle short downhill course(Yufudake direction)*We will pick you up and drop you off in a place of your choice. 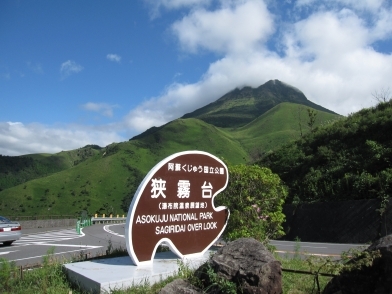 This course allows you to go down from Yufudake trailhead, approximately 800 meters, to near Yufuin Station, 8 km. As we will pick you up and drop you off afterwards at the same place, you can have a good time without worries. 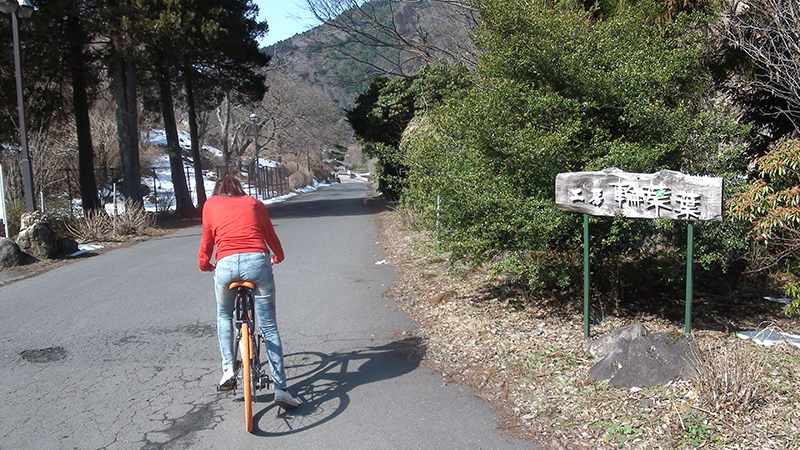 Reservation — pick-up — we take you and your bicycle to Yufudake trailhead — you start from there. →After you reach your final destination, we will drop you off at the same place we picked you up. Other places have no service, so please make a reservation and come to our store. 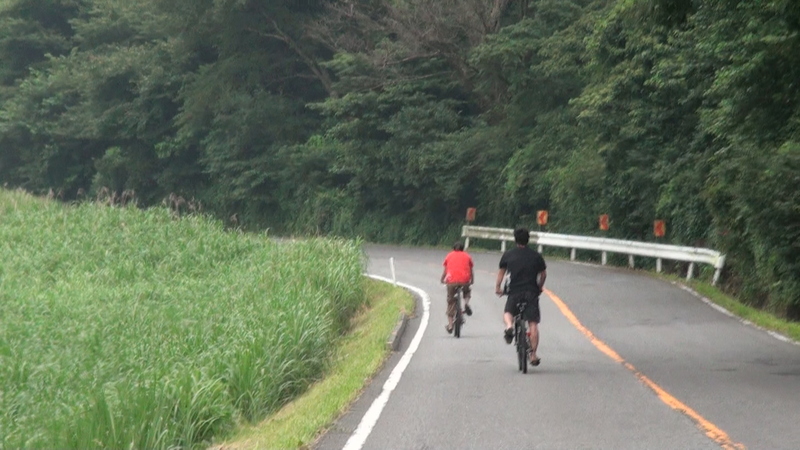 Copyright (C) 2019 Bike rental shop REN-CHA All Rights Reserved.